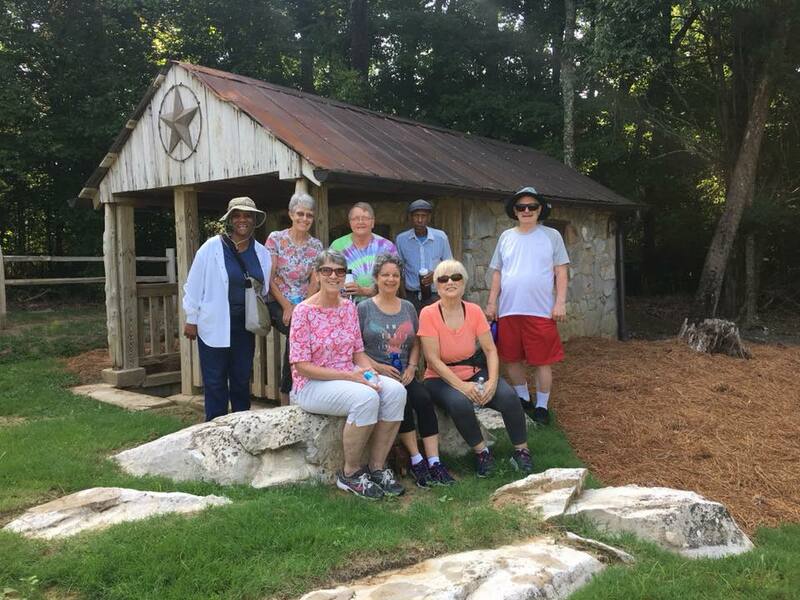 The City of Collegedale Parks and Recreation mission is to provide places, avenues and recreational opportunities for all people to gather, celebrate, learn and engage in activities that promote health, well-being, community, and the environment. These opportunities are evolving with the ever-growing needs of our area. 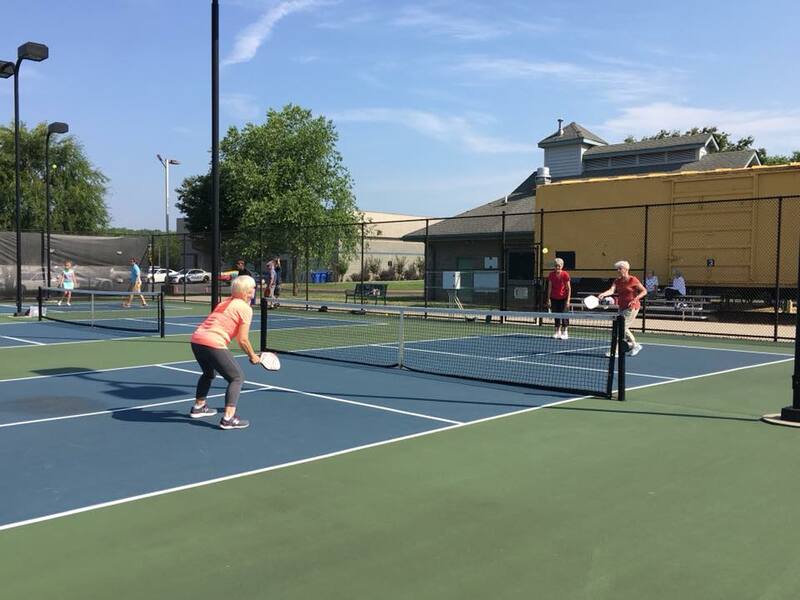 Collegedale residents and visitors enjoy parks, greenways, playgrounds, outdoor recreation and leisure activities year-round. Our natural surroundings create artistic beauty for all seasons. Collegedale continues to rank high in the state for Best Cities to Live In, Safest Cities, and Fastest Growing Cities. We are proud to have been recognized as a Healthier Tennessee community by the Governor’s Foundation. Stay up to date on events, programs and activities in our area by liking our Facebook page, Collegedaleparksandrec. For health and wellness news, join the Collegedale Inspires Healthy Living coalition and follow on Facebook, CollegedaleInspires. 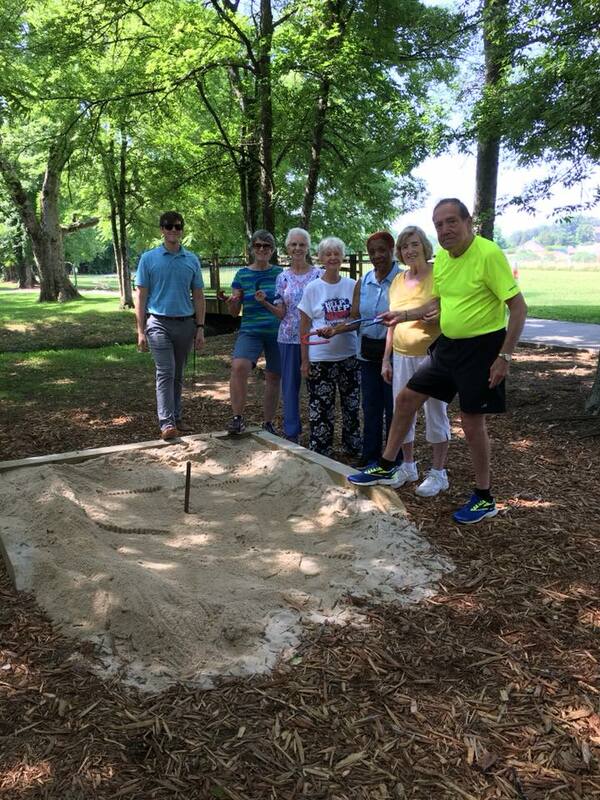 If you support the mission of the Parks and Recreation department and would like to make a donation, please contact the Collegedale Parks & Recreation Foundation, a 501(c)(3) organization. Stretch your muscles; body & mind! 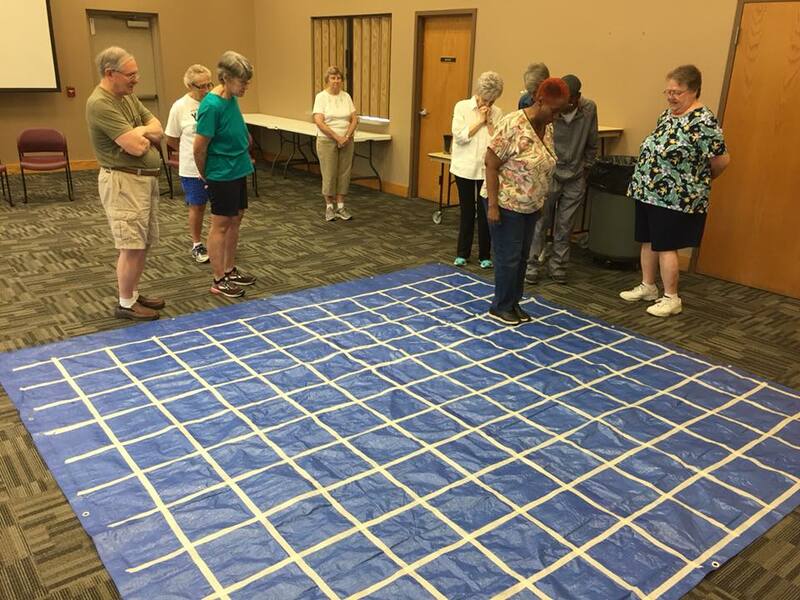 Walking, guest speakers, projects, games, and other activities are samples of the 55+ social gatherings each Friday. 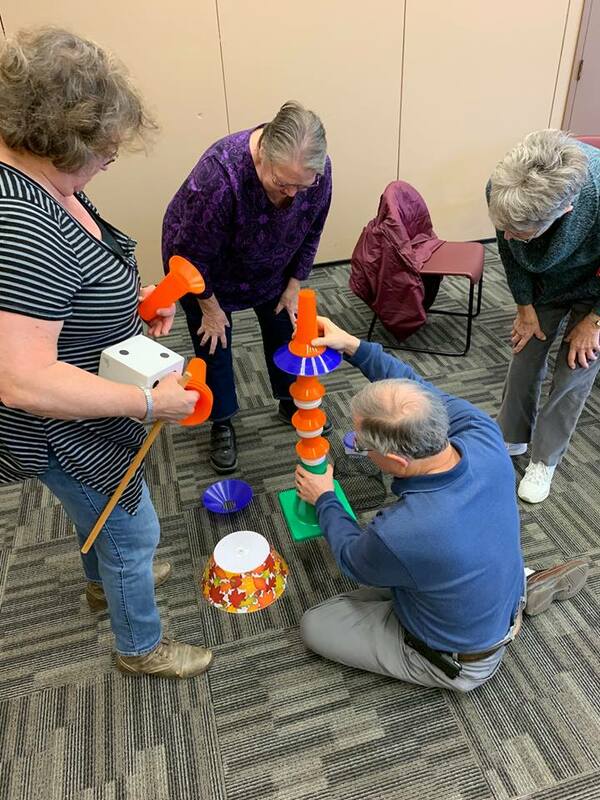 Socialize and exercise each week with the Senior Stretch group. 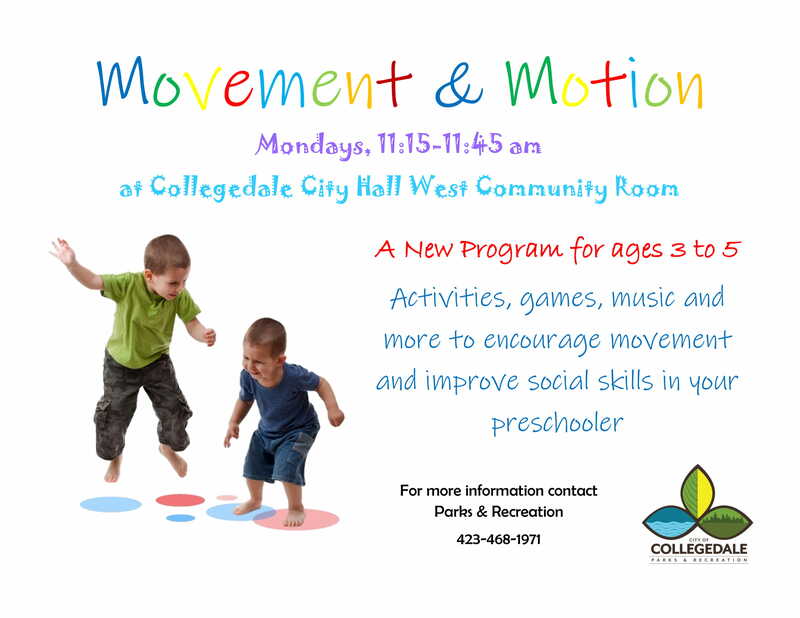 Each program includes stretching exercises and educational opportunities to stretch the mind as well. 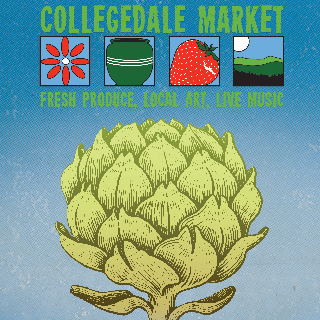 Artwork, jewelry, homemade items, fresh produce, local foods, music... the Collegedale Market has found a permanent home at The Commons every Wednesday evening. Movie night is the first Saturday of the month. Bring your blankets out to The Commons for family-friendly movies. Chairs are permitted; just allow front seating for those without. 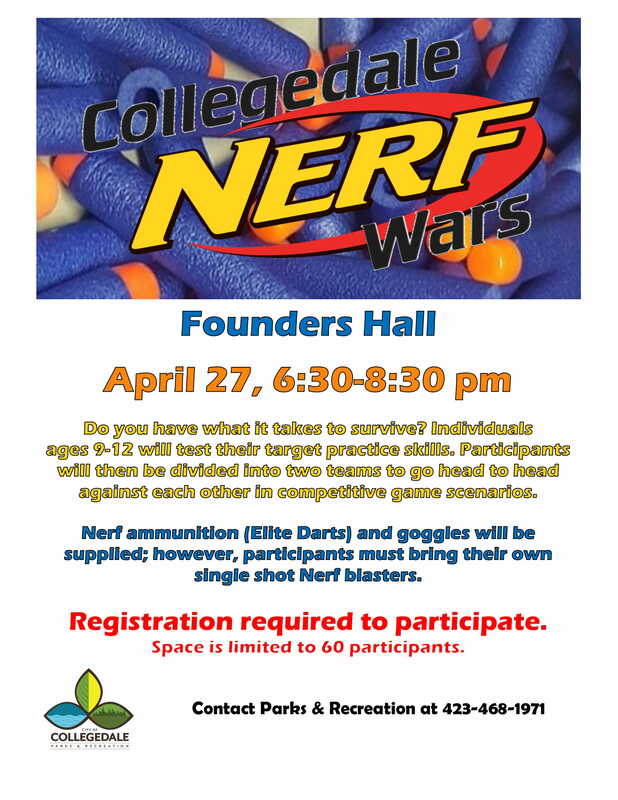 $5 donation per family. Date Night Movies are the second Tuesday of the month. 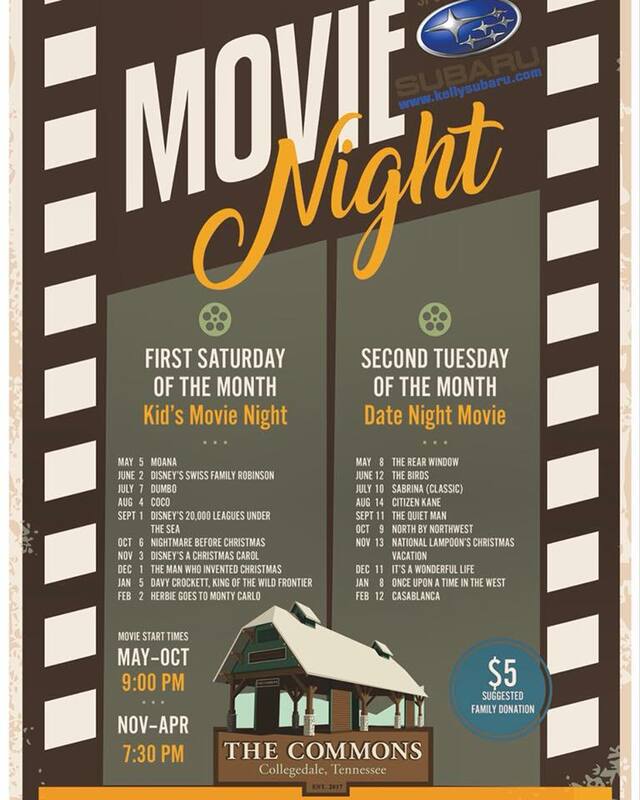 Bring a blanket and some cushions to the Pavilion at The Commons and enjoy a great classic movie. Chairs are welcome; please keep the front viewing area open for those without chairs. Collegedale is a great place for walking, hiking, running and biking. Check out these links.